My wife (Rebecca) and I have decided to try the Paleo diet for 30 days and see what kind of results we get. I first heard about Paleo when reading about Crossfit (which I'll be starting in few weeks). Crossfit recommends eating the Paleo way, so I headed to Paperback Swap and picked up The Paleo Solution just in time to read over vacation. 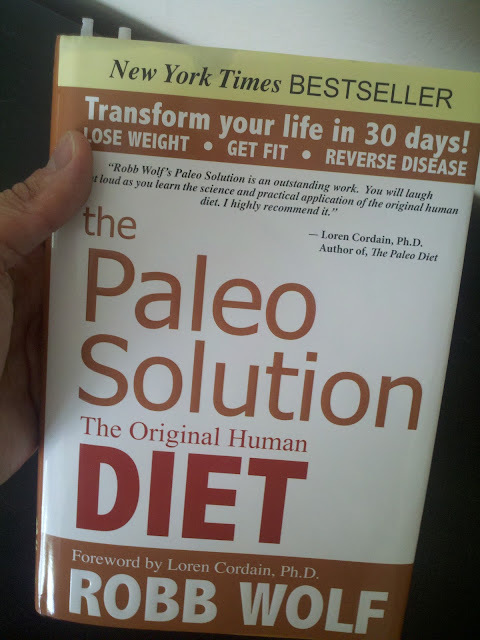 For the last week we've been reading and talking about Paleo, and now we're giving it a shot. I'm hoping to enjoy eating this way and get in better physical shape. Rebecca is mostly hoping that her stomach problems go away. Despite a bunch of doctors and tons of tests, she's almost always in pain after eating. Robb Wolf (author of The Paleo Solution) mentions having mystery stomach problems of his own that were cured by Paleo, something which really intrigued Rebecca. So, what exactly is Paleo? There is an excellent FAQ here, but to summarize, it's eating when our ancestors ate for millions of years before the agricultural revolution. The focus is on eating grass-fed meats, fish, vegetables, fruit, and nuts, and avoiding grains, legumes, dairy products, salt, refined sugar, and processed oils. 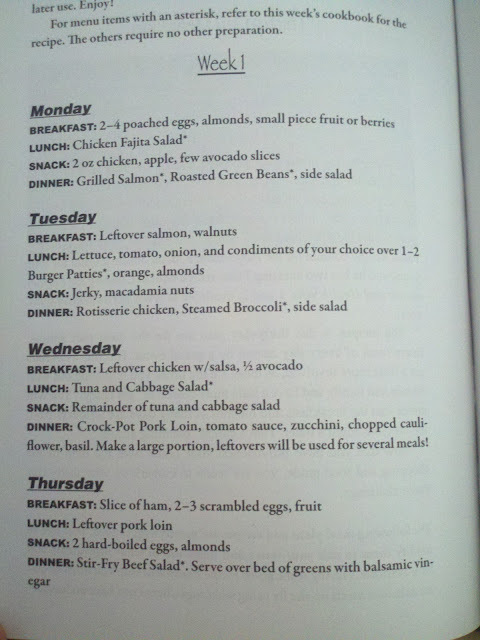 Armed with the meal plans in the book, we went food shopping on Wednesday in order to get food for the first four days of our new diet. We're planning on following Robb's meal plans almost exactly. The reason we went shopping for 4 days worth of food is because it covered us from Thursday-Sunday, so we can go shopping for the following week anytime this weekend. The total bill was $127, but in fairness at least $30 of that was was coconut oil/tamari/spices/seasonings/etc. In other words, it's stuff that will last. Based on that, I figure the onging cost will be around $130-ish per week, or $520 per month. For all of our food. That's not too bad, considering how well we'll be eating. I should also mention that I ate horribly on Wednesday (my last day before Paleo. My entire day's food consisted of a very large coffee with tons of sugar, a kit-kat, some chips, 4 slices of pizza, a bunch of watermellon, and two beers! Anyway, the first day is now over, and it went pretty well. My wonderful wife packed me breakfast and lunch the night before, and I went to work with a bag full of good Paleo food. Mmy stomach growled a little before 10am, so I opened my breakfast. Two hard boiled eggs and blueberries. I also had almonds that I was pretty sure were for breakfast, but I ate them about an hour later. At 1:15 or so, I attacked my lunch (salad with mixed greens, cucumber, and tomatoes topped with warmed up chunks of chicken and green peppers). It was de-lish. 2 hours later I had an apple for a snack. When we both got home from work, I made 4 quarter-pound burgers with ground beef on the grill (for tomorrow's lunch) while rebecca made salmon and green beans for dinner (and breakfast tomorrow). We both had a bit of a headache tonight, but I think that's probably just a symptom of caffine withdrawal (I usually have a lot of coffee with a lot of sugar, and Rebecca has hot tea). I'm sure the headache will go away within a couple days as our body gets used to eating this way. 1 day down, (at least) 29 to go!